308 pages | 66 B/W Illus. This exciting collection explores the interplay of religion and politics in the precolumbian Americas. Each thought-provoking contribution positions religion as a primary factor influencing political innovations in this period, reinterpreting major changes through an examination of how religion both facilitated and constrained transformations in political organization and status relations. 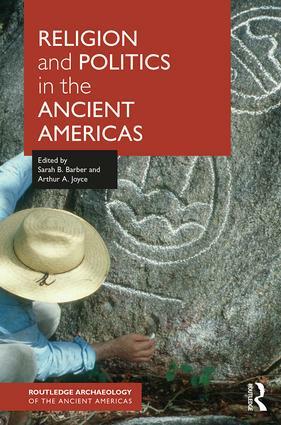 Offering unparalleled geographic and temporal coverage of this subject, Religion and Politics in the Ancient Americas spans the entire precolumbian period, from Preceramic Peru to the Contact period in eastern North America, with case studies from North, Middle, and South America. Religion and Politics in the Ancient Americas considers the ways in which religion itself generated political innovation and thus enabled political centralization to occur. It moves beyond a "Great Tradition" focus on elite religion to understand how local political authority was negotiated, contested, bolstered, and undermined within diverse constituencies, demonstrating how religion has transformed non-Western societies. As well as offering readers fresh perspectives on specific archaeological cases, this book breaks new ground in the archaeological examination of religion and society. Sarah B. Barber is Associate Professor in the Department of Anthropology at the University of Central Florida, USA. Arthur A. Joyce is Professor in the Department of Anthropology at the University of Colorado Boulder, USA.